Thanks to Capital One and Sabrina Colaianni, a bank employee and school parent, SRS was invited to apply for a grant to fund capital improvements and community engagement projects. We are thrilled to announce that Capital One has awarded $2,500 to SRS. The grant helped purchase the arch used at Angels on the Run and a portion of the Music Room chairs. We are grateful not only to Capital One and Sabrina but also to her daughter Victoria, who suggested that SRS’ name be submitted. 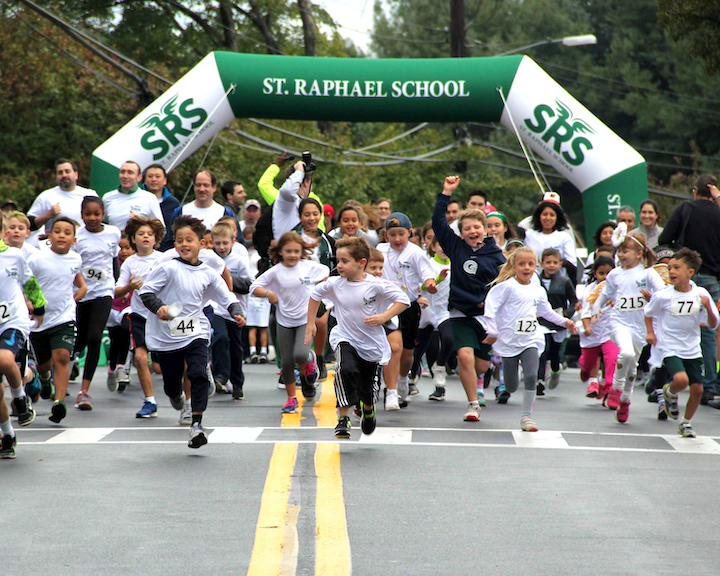 If your employer offers a similar opportunity for your favorite charity to be invited to apply for a grant, we would be most appreciative if you would submit St. Raphael School’s name. In addition, many companies offer matching gift programs. See if your company would match your donation by checking out our matching gift lookup tool.